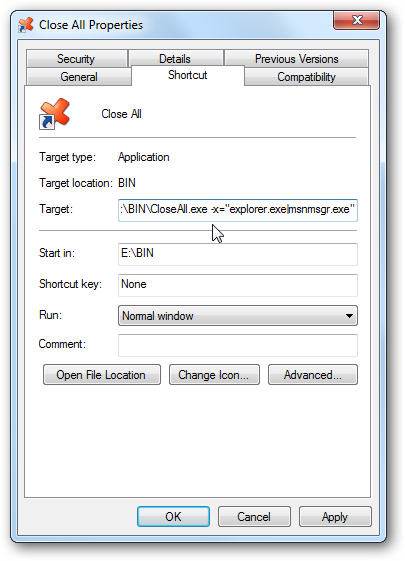 This program lets you close all running applications with just a single click. It doesn’t use system resources because it only flashes a ‘close’ signal to all open applications on the desktop and then ceases. Just create a shortcut to the tool in the Start Menu, Quick Launch, Windows 7 Taskbar or elsewhere. You can always add a hotkey to this shortcut. It is really very handy if you are running ~20 applications and want them all to quit instantly. It works just as if you were pressing the close button for each application. 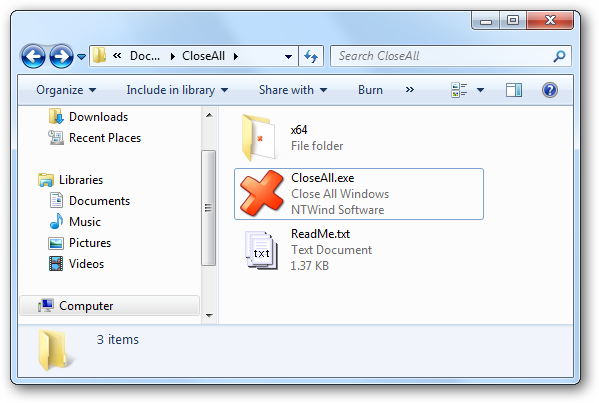 Close All Windows is a very simple utility that doesn’t require installation. No settings are stored in the Windows Registry or file system. Just follow the steps below to set it up on your computer. Download the ZIP archive and extract it somewhere on your hard drive. 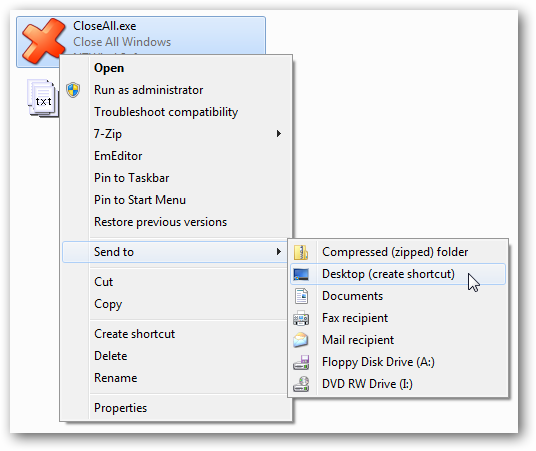 Open the extracted folder, right-click CloseAll.exe and choose Send To -> Desktop (create shortcut) from the context menu. 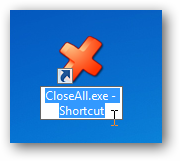 Switch to the Desktop and rename the created shortcut to “Close All” or whatever you want. Now you can drag this shortcut to the Quick Launch Bar or to the Windows 7 Taskbar for quick access. 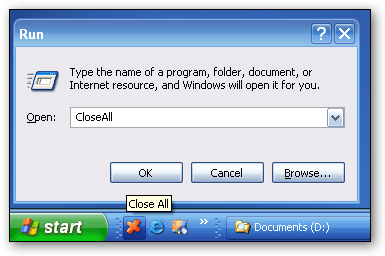 If you want to prevent certain applications from being to be closed by Close All, you can add a simple exclusion list to the CloseAll.exe command line. 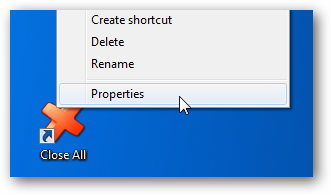 Click OK to save the shortcut properties. Remember, you'd better test it before using it!